1. Compatible with all HD-CVI, HD-TVI, HD-AHD BNC male to BNC female with mini cable 25 on both sides. 2. Passive, no power required. 3. 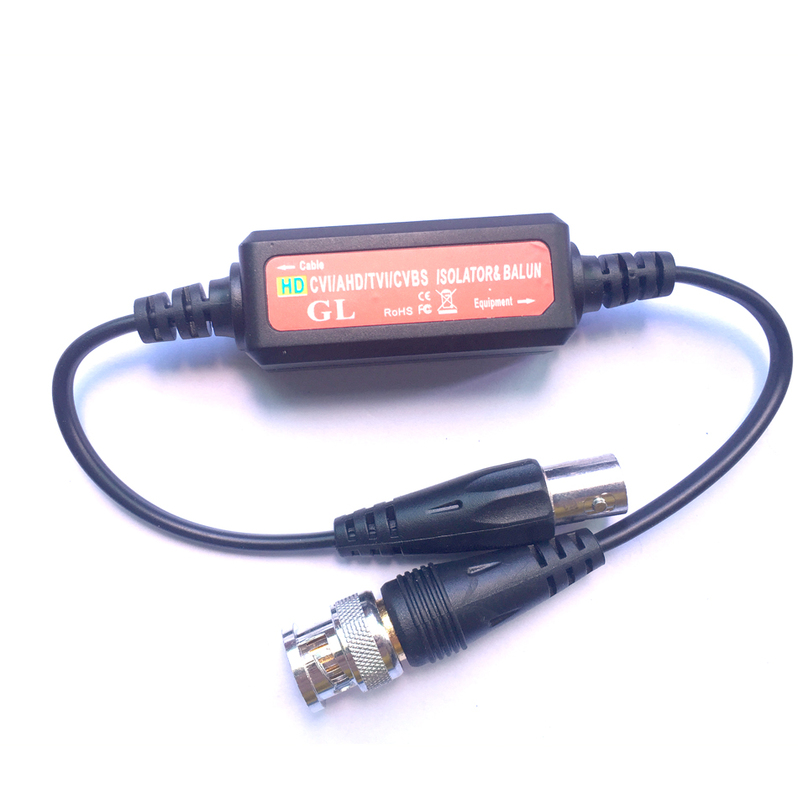 Prevents video-signal distortion caused by video ground loops. 4. Eliminates picture tearing, cross talk and rolling. 5. Prevents power cables laid by others interfering with the CCTV system. 6. Built in TVS ( Transient Voltage Suppressors) for surge protection.